GREATER MONCTON, N.B. 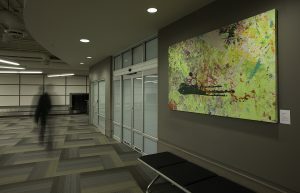 – The Greater Moncton International Airport Authority (GMIAA) is proud to announce that they have been successful at attracting a new curator for the artwork in the air terminal building. A new partnership has been established with Apple Art Gallery, a fine art gallery in Moncton. 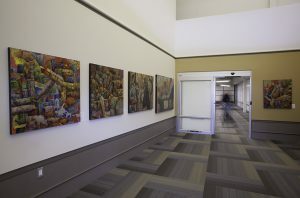 The new art gallery is located next to the baggage claim area along with other pieces in various locations throughout the building showcasing local artists (https://www.appleart.co/yqm). The artwork will change every 3-4 months, allowing more exposure to talented regional artists. All questions regarding pricing, packing and shipping can be directed to appleartagency@gmail.com or by visiting their website at https://www.appleart.co/ for more information. “We’re pleased to be hosting several pieces of beautiful art from Apple Art Gallery in order to show local artists from the region. 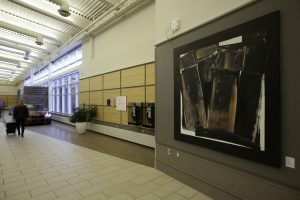 Artists being shown in the terminal building for the moment include Jared Betts (https://www.facebook.com/jaredbetts.art/), Raymonde Fortin, Roch Bourque and Cecil D. Long (https://www.facebook.com/cecildlong/). Apple Art Gallery features more than 20 local artists. 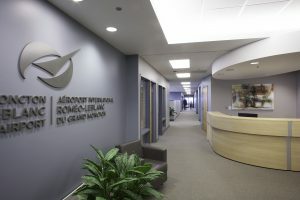 Drop by the terminal to take a look!”, says President and CEO of GMIAA Bernard LeBlanc.